Deputies are investigating a string of overnight robberies at convenience stores throughout Hillsborough, Pinellas and Manatee Counties. 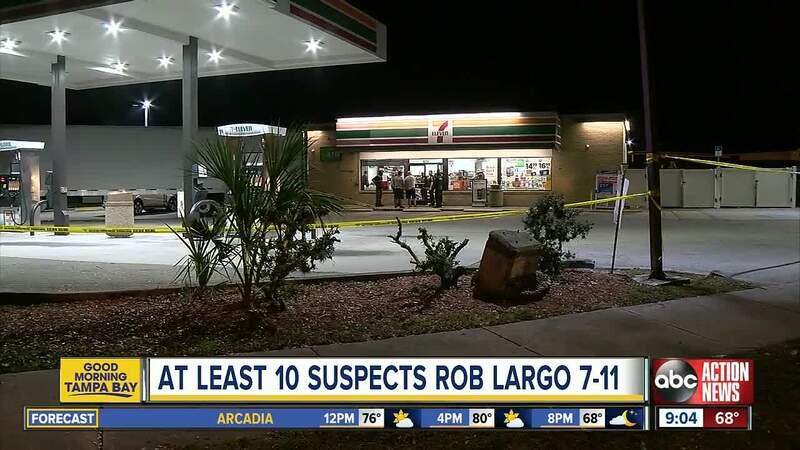 HILLSBOROUGH COUNTY, Fla. — Deputies are investigating a string of overnight robberies at convenience stores throughout Hillsborough, Pinellas and Manatee Counties. The Hillsborough County Sheriff's Office said a group of suspects stole large quantities of cigarettes from the stores. The Manatee County Sheriffs Office released new video from a 7-11 store near Moccasin Wallow Road. In it, you see several suspects in masks and hoodies go into the store, hop the counter and head straight for the cigarettes. Deputies say they got away with about $600 dollars worth at that store. But they also want to know if these are the same suspects accused of robbing several other stores in the bay area, including one in Largo. A detective there says a store clerk attempted to stop them but was hit in the head. Deputies say they arrested 4 people in a Acura MDX. They chased the car down I-75, where it ran over two stop sticks. The chase then continued onto US 41 where they were seen throwing bags of cigarettes out the window. The driver eventually lost control of the car. 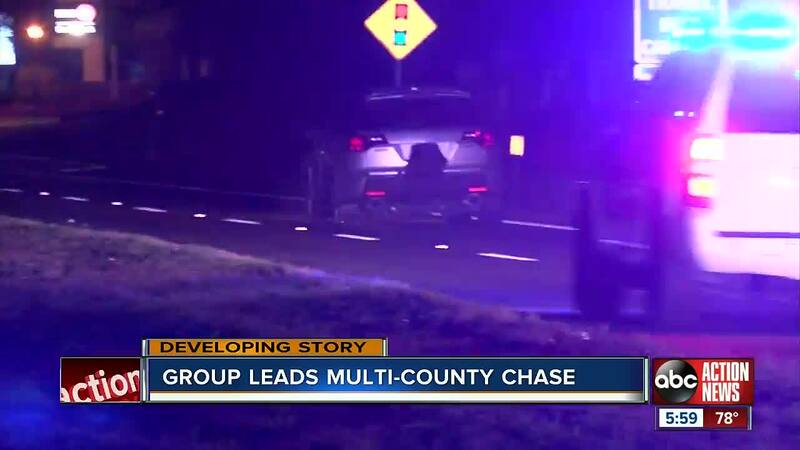 The chase lasted nearly 30 minutes, but no one was hurt during it. Three underage teenagers were arrested, along with 19-year-old Brashon Hall. He was taken to the Hillsborough County Jail. Deputies say they are still trying to find out who was in the white 4-door Camry seen on the security video at that 7-11. They say that car got away during the chase.